Three Cheers for the Spartan! 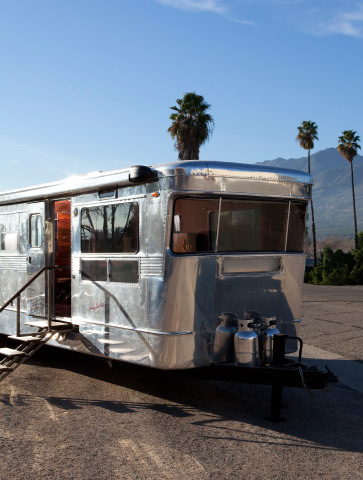 Update: It looks like the gorgeous ’59 Spartan Carousel I’ve been coveting has found a new home. I surely hope the new owner documents her comeback–I can’t stop thinking about that round, pink kitsch-en. In the meantime, I’ve been reading about what other Spartan fans have done to show their love to this classic coach. 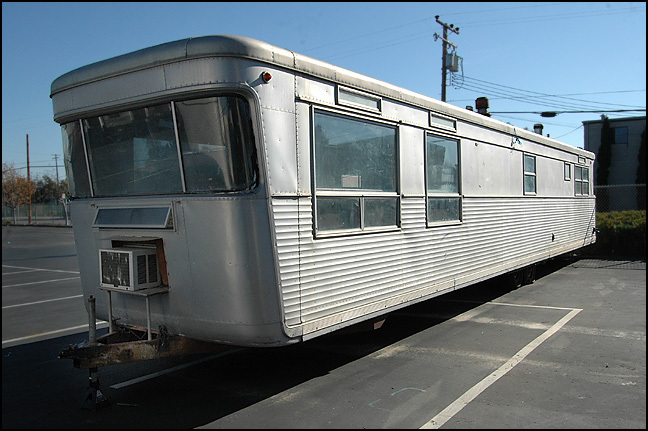 With a Miele kitchen, reclaimed rosewood interior, and stainless steel soaking tub, this 1955 Spartan Imperial Mansion is a trailer fit for 12 Olympians. Columbia Pictures paid $8000 a week for Kirsten Dunst to regroup in the 480-square foot trailer while filming Spider-Man 3 (John C. Reilly and Tom Hanks are fans, too). Read more about Hallworth’s design in the Los Angeles Times Magazine (images borrowed from photographer Roger Davies). 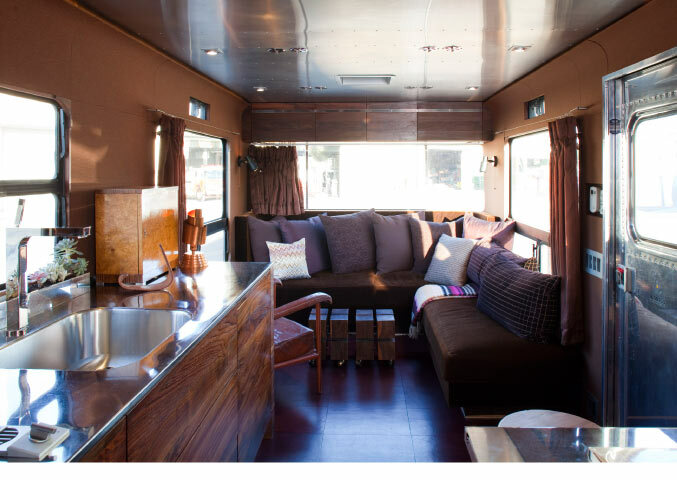 This entry was posted in Getting Started and tagged camper bar, repurpose, Spartan Carousel, Spartan Imperial Mansion, vintage camper. Bookmark the permalink. 2 Responses to Three Cheers for the Spartan! LOVIN’ that Funky Junk remodel — wow!